Description: Here is page 76 of a 96-page monograph entitled "Power To Burn: Smoke, Steam, & Cinders" that was edited by James M. Shafer and published during 1976. 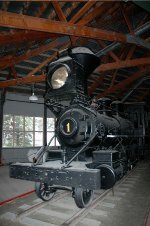 Photo Caption: "This Baldwin engine, built in 1854 as the 'Bedford,' was rebuilt in Altoona Machine Shops in 1866 as PRR No. 98, 2-8-0." Description: Logansport & Eel River #1 2-8-0. Taken at Iron Horse Festival, July 15, 1984. Description: Sitting by Lake Carlsbad Park. 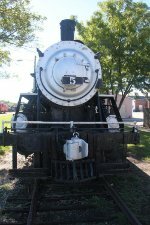 Description: Former Patterson - Mcinnis 2-8-0 #3 on display since 1969. I wish I had found this in better light. Description: On display on the side of Hwy 19 in a small park near Gulf Hammock, really out in no where, is this 2-8-0 steam locomotive. Description: Notice the error, converted to steam. 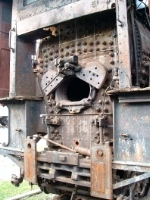 Description: a 2-8-0 Narrow Gage locomotive on static display at the south end of track - Connecticut Antique Machinery Assoc. Description: 3 foot guage 2-8-0 on the CAMA grounds. Used to haul lumber in Georgia and South Carolina. Title: Argent Lumber Company #4 at Connecticut Antique Machinery Assoc. Description: A memorably fine father & son outing for us. Description: This ex-Okmulgee Northern loco, built by Alco-Cooke in 1923 (#65189) now is a static display at the Belton, Grandview & Kansas City RR. Originally the organization was the Smoky Hill Railway and Historical Society, hence the SHRX reporting mark. Description: Another view of this ex-Okmulgee Northern 2-8-0 Consolidation built by Alco-Cooke in 1923. 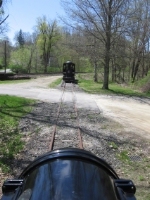 The loco is a static display at the tourist railroad in Belton, MO. Description: The 1923 Alco-Cooke Consolidaton looks is very good cosmetic shape at the Belton, Grandview and Kansas City Railroad.